A shirt sewn by a single person. It takes us almost twice as long to produce a shirt that features our Sartorial finish. What does it involve ? Clic on images for more information. Our standard shirt is put together with a single, continuous movement encapsulating both the side seams and the seam along the sleeves. This is the reason why the two seams, which meet beneath the armpit, are aligned. The offset seams that form part of our Sartorial finish involve a much more complex, longer production process. They offer the substantial benefit of enabling us to shift the position of the armholes when putting the shirt together, so that the sleeve follows the curve of the arm much more harmoniously. The result is a sleeve that twists very little, if at all, on the upper arm between the shoulder and the inside of the biceps. 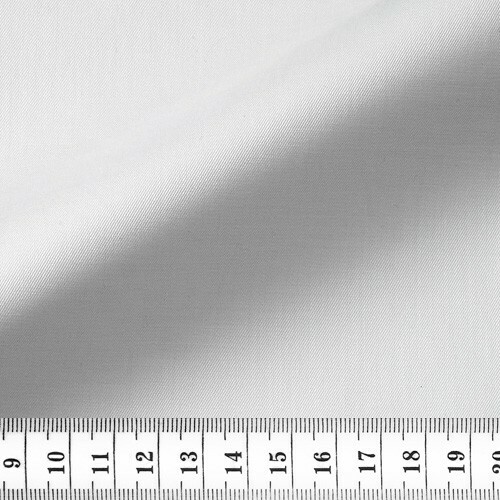 The handkerchief hem, as its name suggests, is a finer, more delicate hem that requires a particularly high level of skill and expertise to fold and stitch a tiny area of fabric, just 3mm inside the seam. 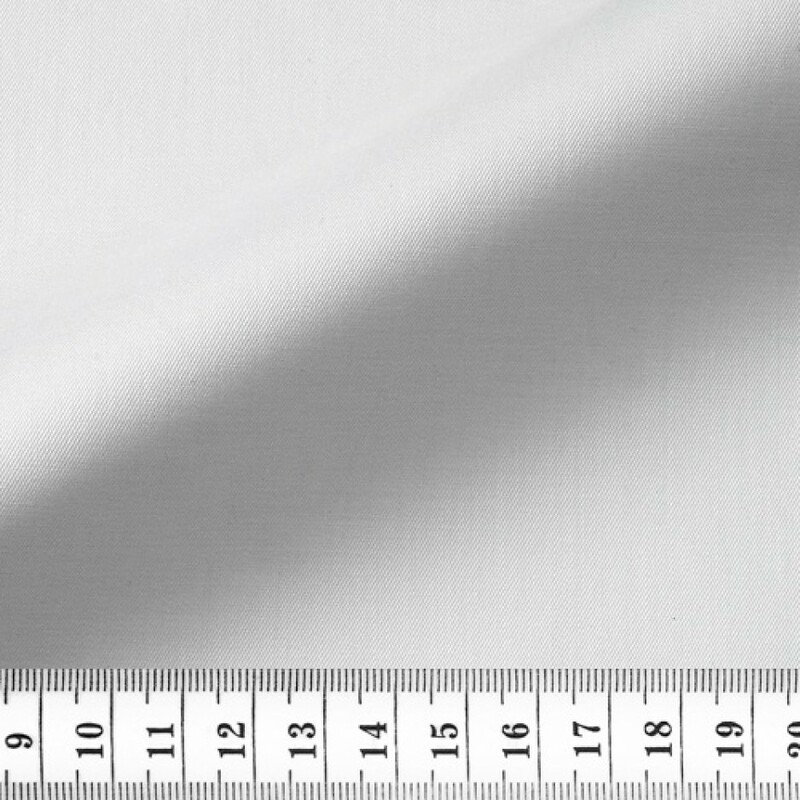 This type of hem is more comfortable inside trousers, making the seam inside the trousers feel less intrusive by reducing the thickness around the hips. 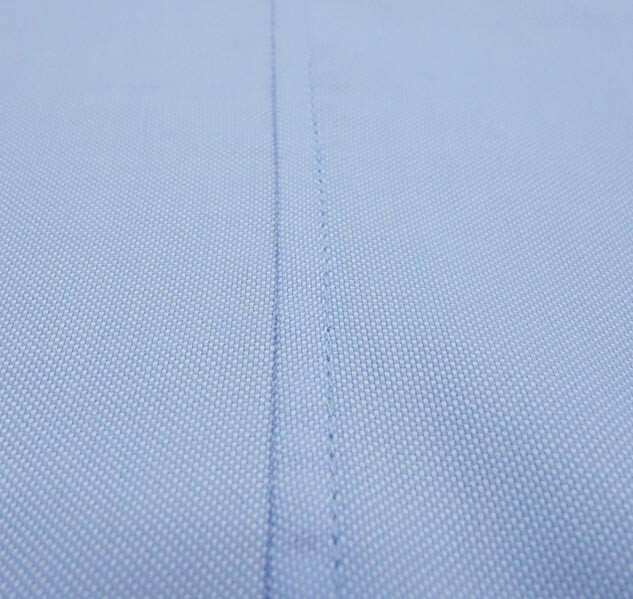 Our standard shirt features six stitches per centimretre, whereas our Sartorial shirts use eight. This work is more involved but allows the stitches and the resulting hems to be finer. This is one of the foremost characteristics of a fine shirt. 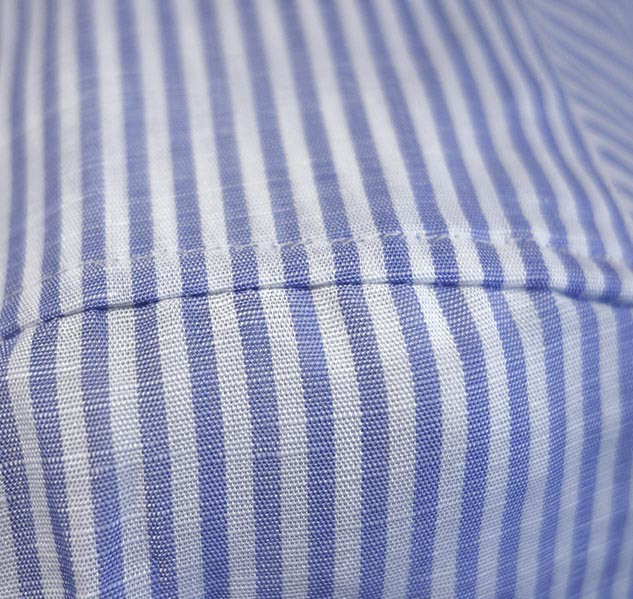 Unlike double seams, which use two needles to stitch two pieces of the shirt at once, the French seams that are used to join the shirt sleeves and panels are created in a two-stage process: one stitch on the reverse, folded by 5mm, and overstitched on the front by 4mm. This technique results in a flat, clean and tough seam. This single-stitched seam is more refined, but also takes longer to produce. Hem gussets, despite what you may hear, is not really designed to strengthen the hem at this location. It is primarily cosmetic, particularly if you wear your shirt outside your trousers. 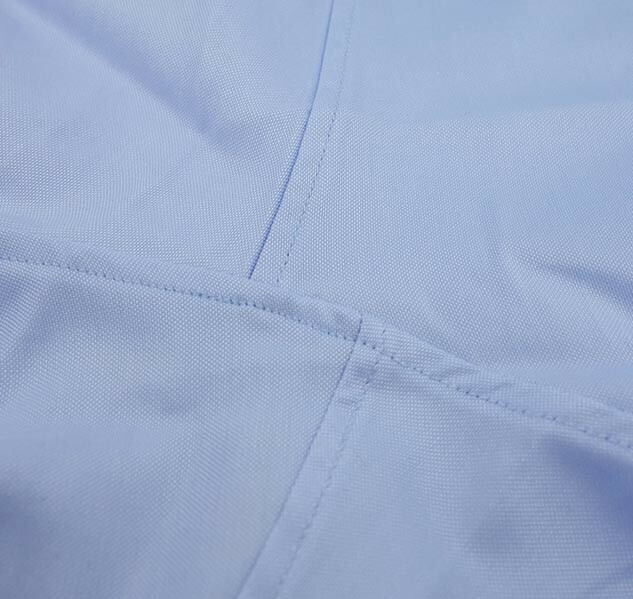 The gusset is an attractive detail to add to the French seams on the front and back panels of the shirt. 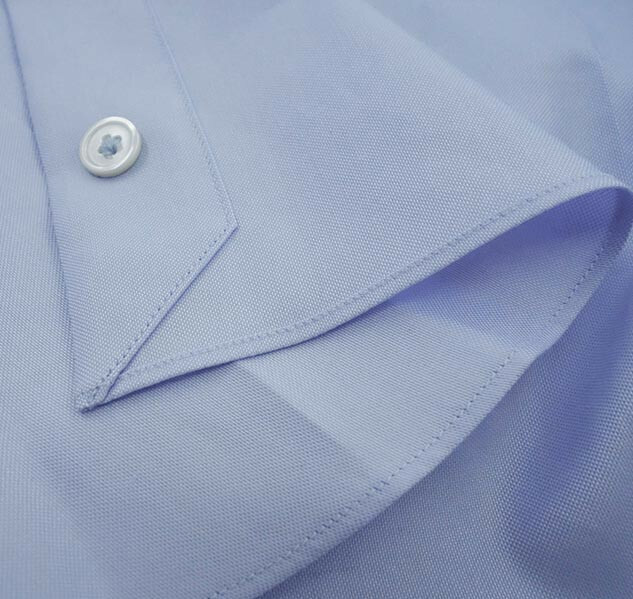 The ways in which a collar is cut and fitted are key aspects of a shirt. When the base of the collar is cut out, it rises up at the front (where the buttonhole is located) allowing it to bear the weight of the tips of the collar, resulting in a better fit. The ensuing curve in the collar flaps allows the shirt to follow the shape of the shoulder more closely, in a less constrained way, resulting in a better fit. The tips of the collar feature a somewhat rounded cut between the rear flap and the tips of the collar. In any event, you can choose different lining thicknesses, and decide whether to use hot adhesive on the collar, to create a very stiff and formal effect, or a softer, more flowing, and sportier result. The stitching on your collar button is not visible from the front. Indeed, the button is stitched on before the collar is fitted. 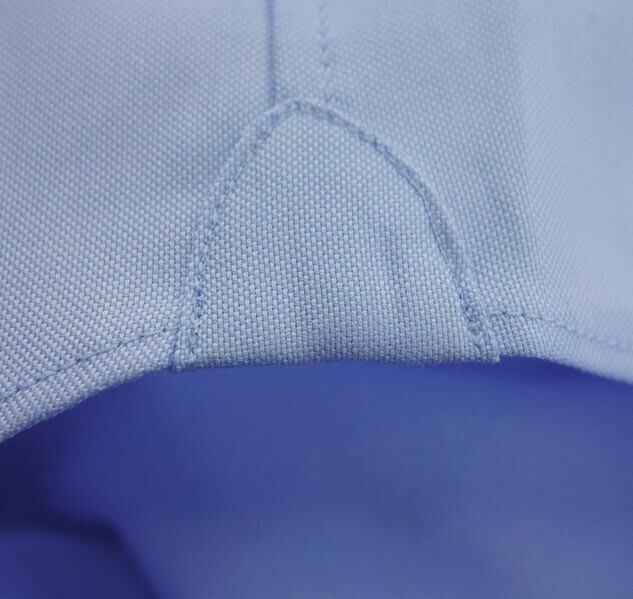 The stitching is therefore hidden inside the base of the collar. Once again, this is small detail, but it results in a more attractive open-necked collar, while the collar does not feel rough on the back. This is the skill of aligning the different patterns in the fabric. 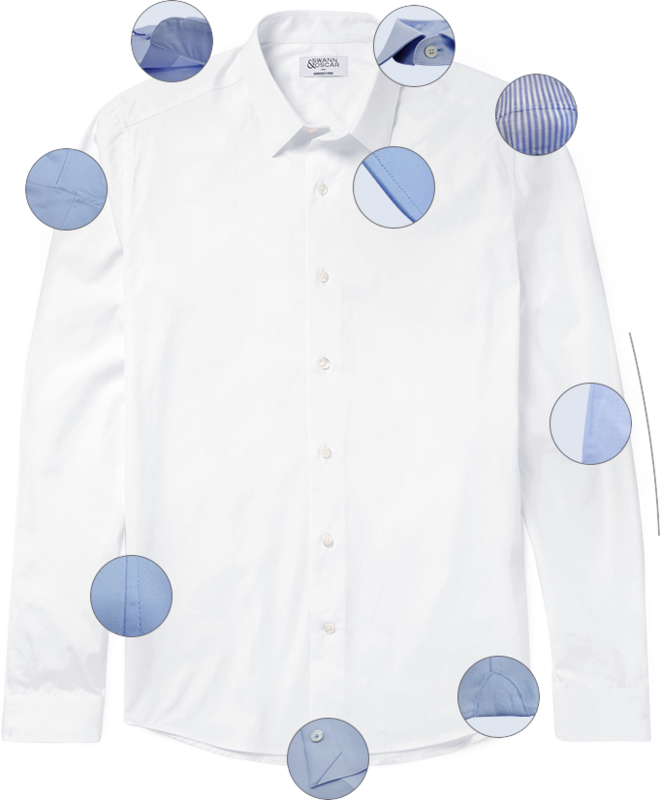 When you create a shirt using striped or checked fabric, we can align the patterns so that the patterns line up to meet at the same points where the different parts of the shirt come together, especially at the shoulder joints and the back panel. We prepare for this work as soon as the fabric is cut, in anticipation of the assembly to come. When the shirt is assembled, the cutting pattern must be followed exactly so that the patterns are not "swallowed" in the stitching, which could prevent them from aligning properly. This alignment is precise down to the last millimetre, for no other purpose than ensuring aesthetic perfection. The Sartorial finish also allows you to have a more "figure hugging" fit to the sleeve. There is a little more fabric at the back of the arm, meaning that the shirt sleeve follows the shape of your elbow more naturally. 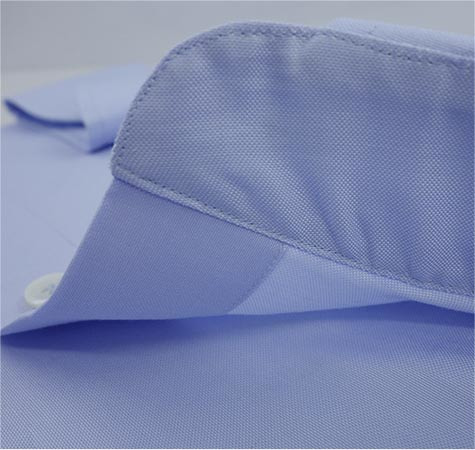 The shirt and the cuff are under less tension when the arm is bent, particularly for tight-fitting sleeves. The Sartorial finish allows you to have cut and fitted shaped sleeves. There is a little more fabric at the back of the arm to give you a shirt sleeve that better fits the natural curve of your elbow. 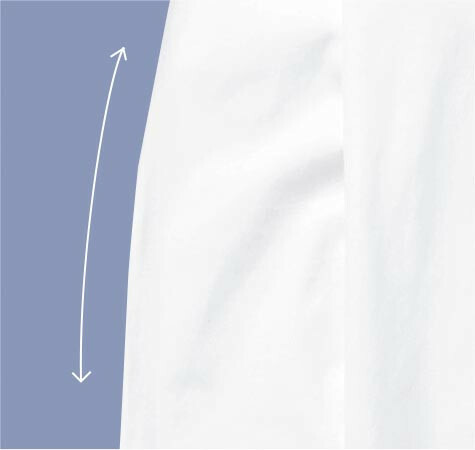 The sleeve and the sleeve plackets are under less tension when the arm is bent particularly on slimmer fitting sleeves.